← Why choose anti-slip surfacing? Is Concrete Bad for the Environment? Concrete is the most widely used building material available to the construction industry; but is concrete bad for the environment? The simple answer to that question is yes, it is. Having made that statement what follows will justify it by describing exactly why concrete is bad for the environment. There are two elements to consider in relation to the environment: the first is how concrete is made; the second is how it is dealt with when the need for it to be broken up arises. Concrete is composed of several elements: gravel and sand are mixed with water and cement powder are added to bind it all together. It is the production of cement that causes the most harm to the environment. Cement is made by combining the raw materials of limestone, clay and sometimes shells, shay, slate, silica sand and iron ore. These materials must be extracted from a quarry and this involves using fossil fuels to power the necessary machinery and this in itself releases pollutants into the atmosphere. The blasting and digging processes are also not without impact upon the surrounding environment. The quarried rock is then crushed several times to reduce it to small sizes. The raw materials are then heated in a furnace to temperatures around 1,450 degrees Centigrade; when this is done the limestone and other materials break down into Calcium Oxide – in other words, lime – and Silicon Oxides and Carbon Dioxide. This results in the emission of C02 gases to the degree that 5% of global C02 emission derives from the cement manufacturing industry. C02 is usually also released by the manufacturing process itself as the kilns are heated and machinery powered. 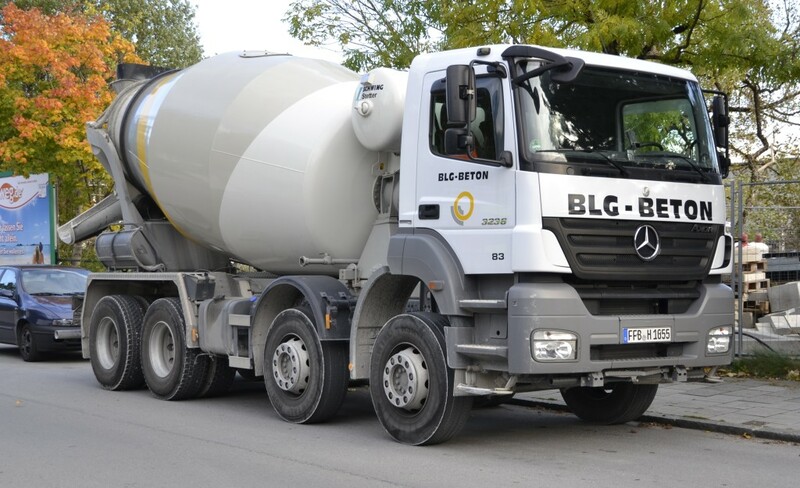 There are a variety of materials that are used in manufacturing different types of cement but those processes can result in gases and dust rich in heavy metals due to the high-temperature calcination processes used on the limestone and clay. These heavy metals include mercury, thallium and cadmium and are highly toxic. Once the cement has been manufactured and turned into concrete it dries to become extremely hard and durable, but when structures built using concrete need to be demolished or rebuilt the concrete must be broken up; this requires the use of considerable machinery which in turn must be powered, thus requiring further consumption of fuels. Disposing of broken concrete also requires further consumption of fossil fuels.